The Aleethia Foundation / A night of celebrations! 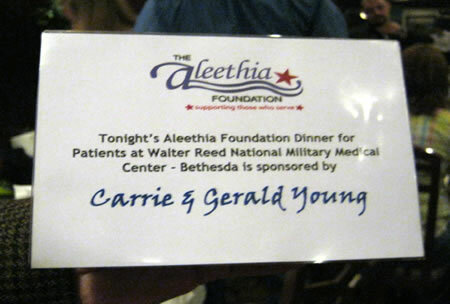 Aleethia’s “Friday Night Dinner” was dedicated to our longtime friends, Gerald and Corrie Young of Gold River, California (formerly from Alexandria, Virginia). Aleethia greatly appreciates their unwavering support over the past seven plus years. 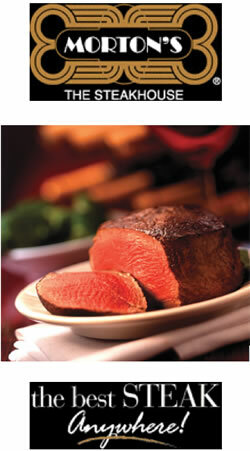 Over 90 injured service members and their families enjoyed an awesome steak dinner at Morton’s the Steakhouse Downtown. Tonight, we had many celebrations, birthdays, newlyweds and several “first timers” enjoying their first time out of the hospital since they were wounded.